Noah Lyles has all the makings of America’s next Olympic sprint champion. Along with his brother, Josephus, Noah was consistently the best short sprinter of his age, winning race after race, not just in Virginia, but around the world. In 2014, Noah took gold over 200 meters at the Youth Olympic Games in China. A year later, Noah took first in the US junior championships and then took home gold for Team USA over 200m at the Pan American Junior Championships in Canada. Perhaps most notably, in his final race as a high school senior, Noah finished an incredible fourth in the final of the 200m at the US Olympic Trials, just missing a spot in Rio. His time of 20.09 broke the national high school record, set 31 years earlier. Noah’s final competition of 2016 was at the World Under-20 Championships in Poland, where he took home gold in the 100m and anchored Team USA home to first in the 4x100m Relay. Following his gold medal wins in Poland, Noah turned professional and signed a long-term endorsement contract with adidas. In March 2017, Noah won his first senior national title, taking first over 300m at the US Indoor Track and Field Championships in Albuquerque, New Mexico. Noah's winning time of 31.87 broke the previous world record of 31.88 set back in 2006. Though injury prevented him from competing at the IAAF World Championships, Noah was able to return to competition by the end of the 2017 season. In his final race of the year, he defeated the world champion to win the 2017 IAAF Diamond League overall title at 200m. Fully healthy in 2018, Noah was virtually unstoppable. At 100m, Noah won the US Championships in a lifetime best 9.88sec. At 200m, Noah went undefeated, running a world-leading 19.65 and breaking 19.70 three times. 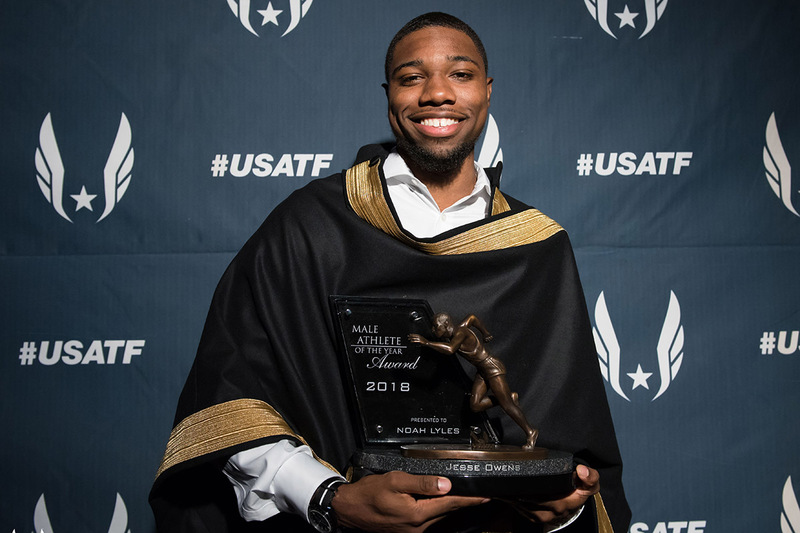 For his phenomenal season, Noah was named the 2018 Jesse Owens Award winner, given to the USA's most outstanding track and field athlete of the year.